What is the best Cozumel Jeep and Snorkel Tour? Snorkeling is a very entertaining recreational activity that can be practiced by literally anyone that has decent swimming skills. Although it looks similar to scuba diving, snorkeling is different because you don’t have to get involved in long training sessions to master it and you don’t need costly and heavy equipment to start exploring the beauties of the sea. In case you love water, enjoy swimming, and you want to learn more about underwater life, then snorkeling is the best activity for you. Cozumel is one of the best islands for snorkeling enthusiasts because this place has dozens of exciting snorkeling spots. What makes this Jeep and Snorkel Tour in Cozumel so unique? Instead of creating your snorkeling tour, which can be quite tricky and expensive, you should choose an organized Cozumel Jeep and Snorkel Tour. A few operators are offering such tours in Cozumel, but My Jeep Tours is the best and official jeep tour in cozumel. First of all, you will explore the island in a fun way on an open new Jeep Wrangler vehicle. You can ask your guide to drive the Jeep, or you can drive it on your own. One car can carry up to 5 passengers. You will visit some natural parks, beaches, and a few exciting places before you arrive at the snorkeling spot. 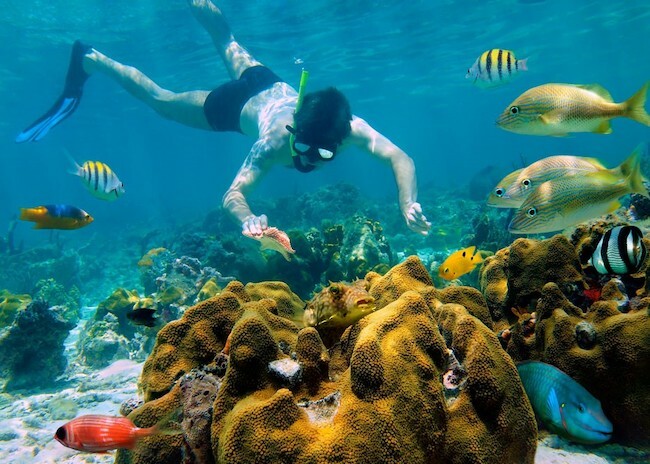 Another thing that is great about this tour in Cozumel is that you will take to a snorkeling spot on a private beach; this means that you won’t be distracted by the presence of other people and you can enjoy the exploration of the underwater world in Cozumel. The fact is that many places around Cozumel have strong currents. That’s why you need to use an organized jeep excursion for My Jeep Tour. As we said, the trip will get you to a private beach known for its excellent snorkeling conditions. How is the Jeep and Snorkeling Tour experience in Cozumel? These snorkeling activities take place in shallow waters in the famous Cozumel reef system which is officially the second largest in the world. Snorkeling in Cozumel is one of the most straightforward and entertaining activities you can select. 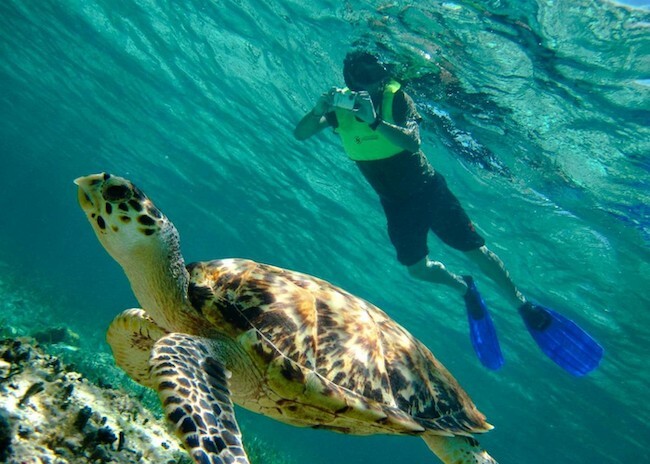 Snorkelers will have a chance to observe many different marine creatures, and in some cases, they can feed them too. Just follow the instructions of your guide to enjoying this trip to the maximum. According to some statistics, there are more than 150 different species of marine life around Cozumel Island. Some of them are active throughout the year while others are waiting for specific seasons to get engaged. But, no matter when you are planning on visiting Cozumel, one thing is for sure – you will enjoy snorkeling. Some of the most commonly found marine creatures here are sea turtles, sea eels, and many different kinds of tropical fish. Cozumel Jeep Snorkel Tour is one of the most exciting jeep tequila tours you can find not only on Cozumel but in the world too.